Complete Schedule of Events for the 4th Annual Undergraduate Research Symposium at Minnesota State University, Mankato. Undergraduate Research Center, Minnesota State University, Mankato. "2002 Abstract Booklet." 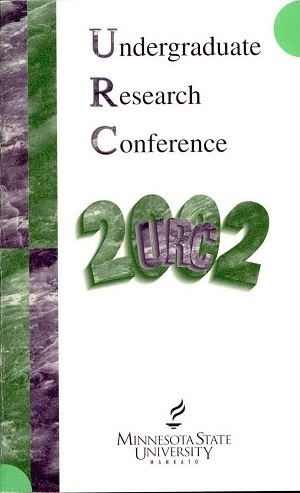 Undergraduate Research Symposium, Mankato, MN, March 25, 2002.